When I was a kid growing up in Welches, in school they taught us a lot about the plants, trees and wildlife that were in the woods around us. 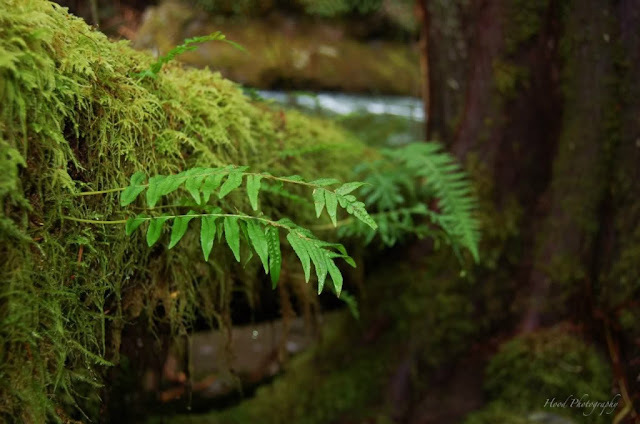 I remember one particular lesson where they taught us about the many ferns that grow in the Mt Hood Forest ... Bracken, Sword, Maiden Hair, and this one, Licorice. The roots of this fern can be eaten and taste like black licorice, hence the name. Never something I really liked, since I detest black licorice. But interesting anyway! molto bella questa foto... sembra che nasconda un luogo magico ! I love liquorice, but that is maybe because it is a common sweet in Sweden. Many thanks for sharing the lovely picture and the information.